We completely agree with Tom Ford on this one, style is substance! Which is why we have partnered with Hackett to provide our members with all the style they will ever need. 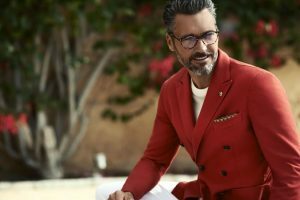 Known for their exceptional craftsmanship and tailoring, Hackett have become a brand entrenched in British Heritage, from their humble beginnings in 1979 as a secondhand clothes shop, Hackett are now one of the global titans for menswear.